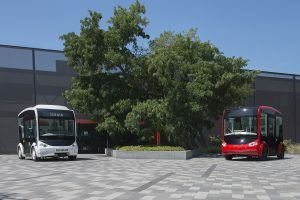 i-Cristal, the new fully-accessible, autonomous electric shuttle, developed in partnership with the operator Transdev, offers a more comfortable shared-mobility experience, providing easy access to everyone, everywhere. 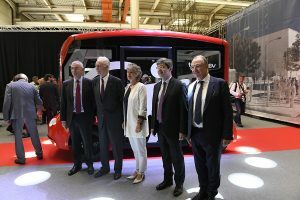 On 10 September 2018, the Lohr industrial group and the operator Transdev presented i-Cristal, France’s new fully-accessible, autonomous electric vehicle at Lohr’s manufacturing site in Duppigheim. 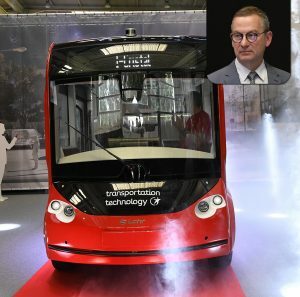 The i-Cristal driverless, trackless electric shuttle was inaugurated on Monday 10 September. Autonomous and capable of navigating in a city environment, i-Cristal also offers wheelchair access. 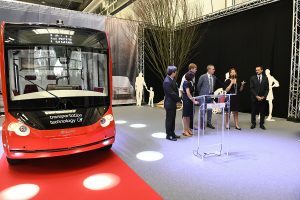 On Monday 10 September 2018, the Lower Rhine manufacturer Lohr and the mobility operator Transdev presented the fruit of their joint project, the autonomous electric vehicle, “i-Cristal”. Two road tests were announced for the end of the year. Is i-Cristal tomorrow’s mode of transport? Jean-François Argence answers all of our questions on LOHR New Mobilities. 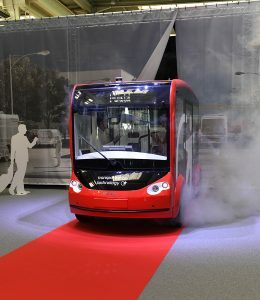 On Monday 10 September 2018, the Lower Rhine manufacturer Lohr and the mobility operator Transdev presented the fruit of their joint project, the autonomous electric vehicle, “i-Cristal”. 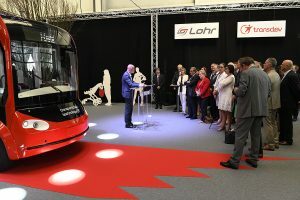 The Lohr industrial group and Transdev, a mobility operator, unveiled the i-Cristal, a new autonomous electric vehicle at Lohr’s assembly site in Duppigheim. 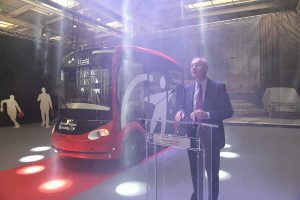 The i-Cristal shuttle, the latest creation from Lohr Industrie’s production facilities and designed in partnership with Transdev, was unveiled with great fanfare in Duppigheim. The Viia Calais – Orbassano rolling motorway will start up in September 2018 with an experimental phase lasting until December. 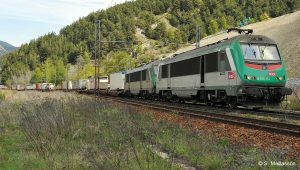 In January 2019, the train will be increased to 21 double LOHR UIC wagons and will be split into two from Saint-Jean-de-Maurienne to Orbassano. 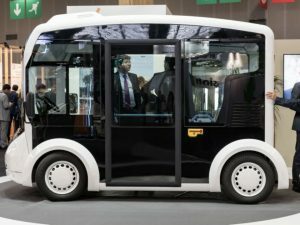 LOHR and Transdev are presenting an autonomous shuttle at the Transports Publics exhibition. 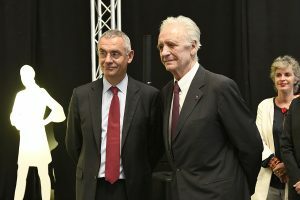 The shuttle is currently being tested in Rouen and will be brought into circulation in the second half of 2018.